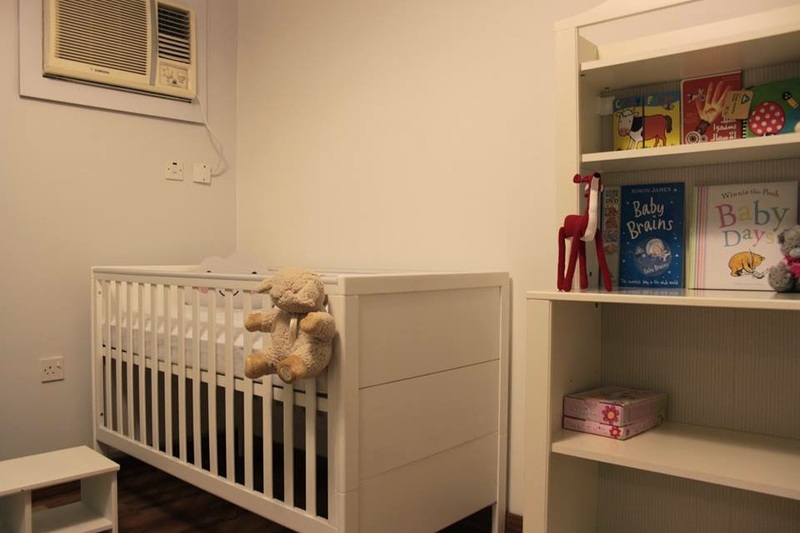 So finally the furniture arrived, 10 days ago!, the crib is the Yale white crib from Mamas and Papas and the rest of the furniture is all IKEA. 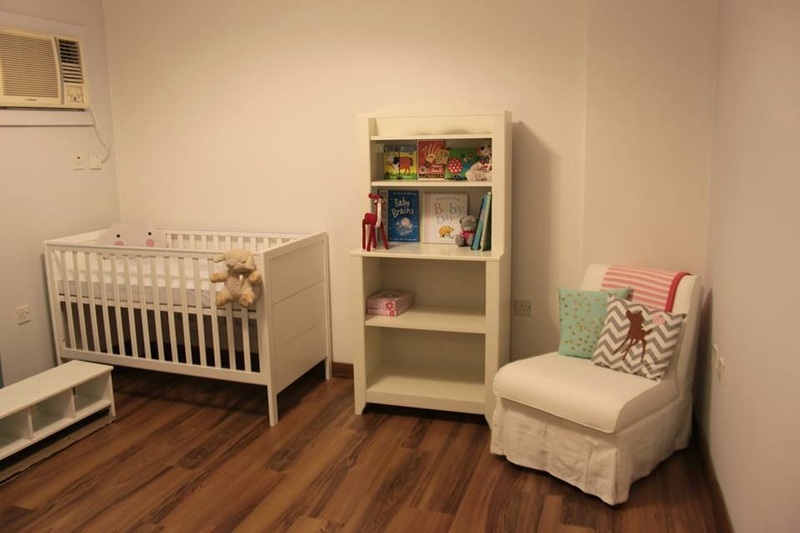 I was supposed to finish the wall behind the crib before the furniture arrived but things have been crazy around here, can you notice from how many times I said I will post pictures about the nursery and never got to it? 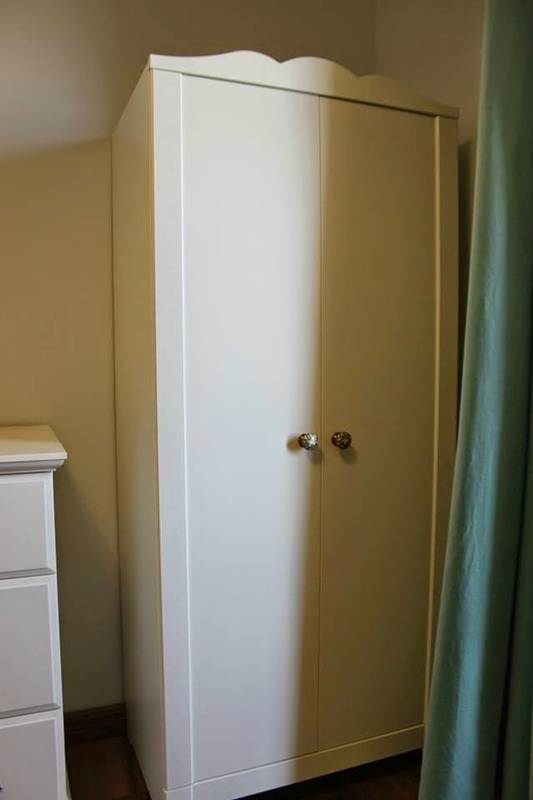 I'm personally not into changing tables and baby bath stands, I'd rather get a dresser with a changing pad to go on top and a bath sponge. 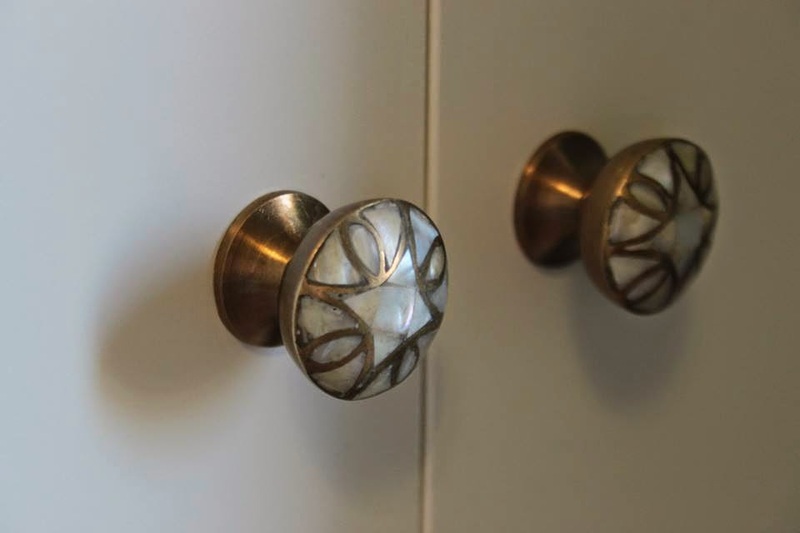 A great way to upgrade any furniture like IKEA's is to replace it's hardware with nicer hardware. 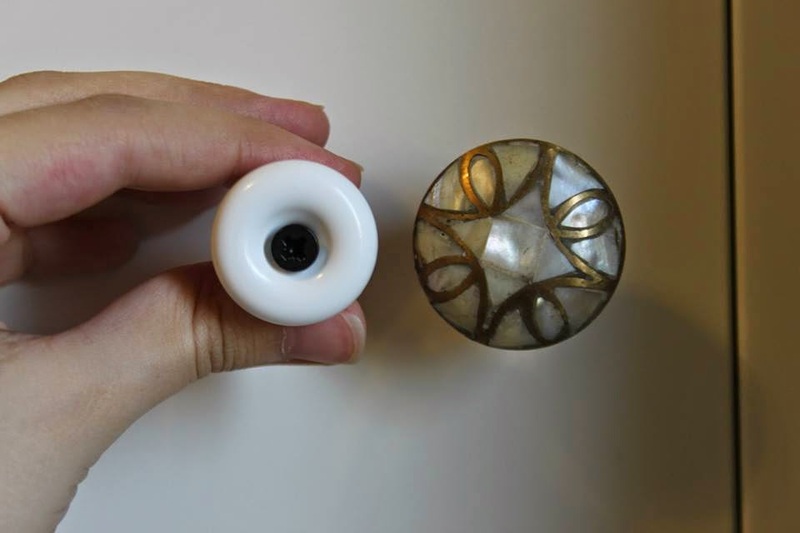 I replaced the white knobs with these mother of pearl brass knobs from Anthropologie which I had purchased originally for my bedside tables with a couple of extra ones which came in handy! 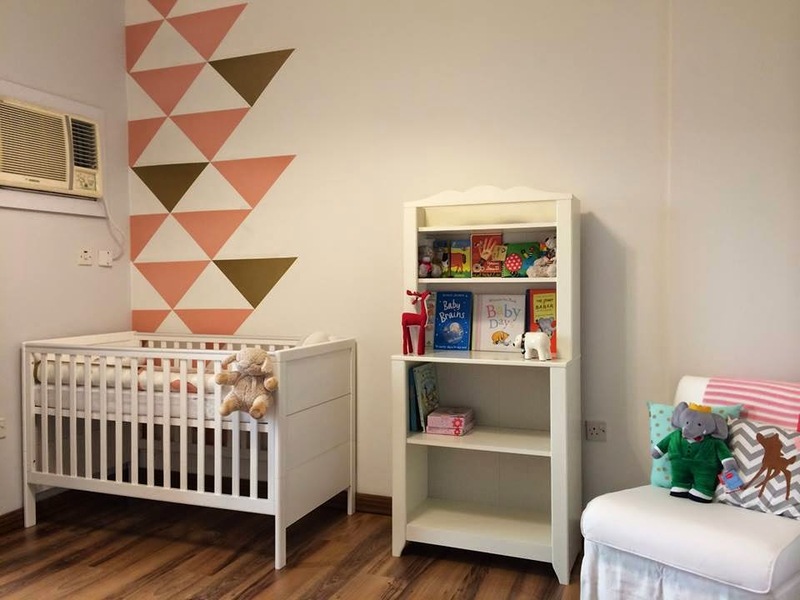 Finally last Friday I managed to in list the help of my sister and her friend to start on the feature wall behind my baby's crib. It took a very long time to stick these decals in place all perfectly aligned. 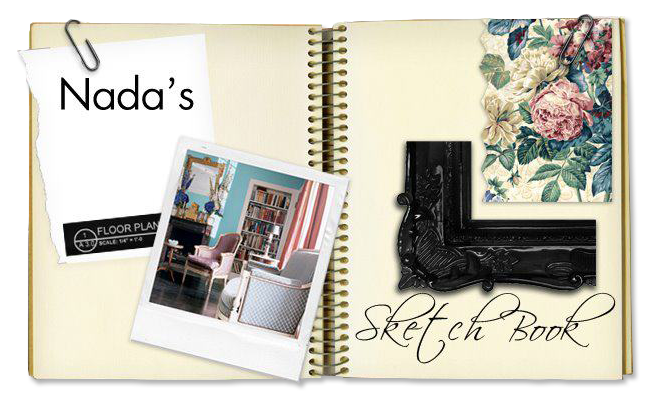 We used a ladder, pencil, X-acto, masking tape, a straight edge, and a level and it's really an exhausting job. They did the majority of it really. 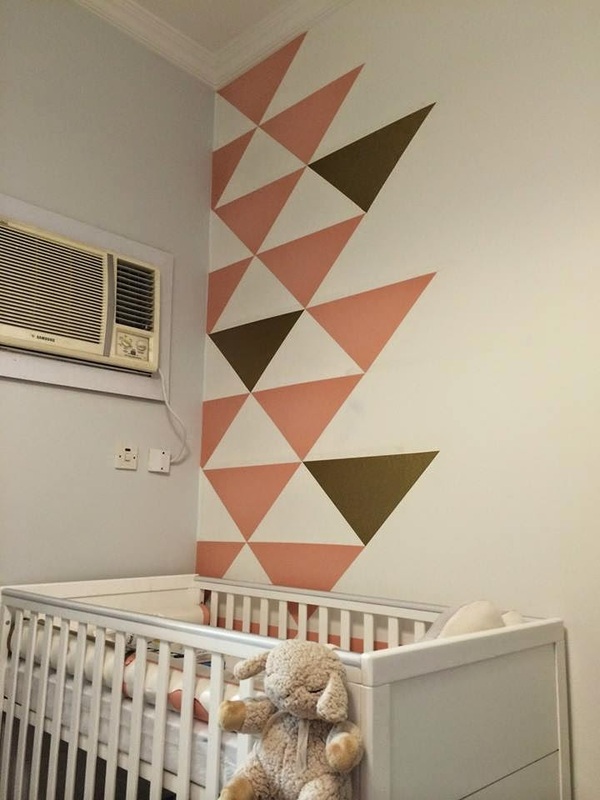 The golden triangles are actually metallic which add glamor to the nursery in a subdued way. 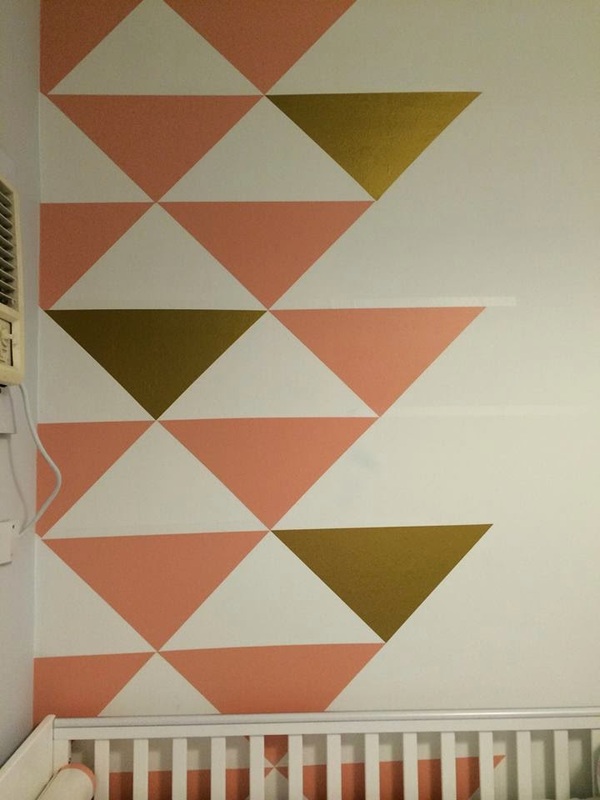 I LOVE it and love the colour of the triangles and that they are not baby pink but a peachy pink colour. 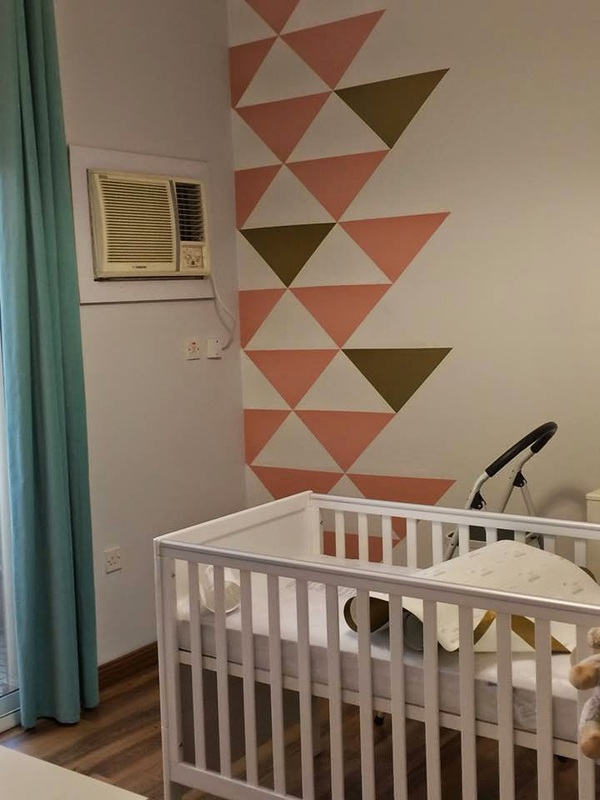 so I will hopefully post again soon on finishing the feature wall with decals from Walls by Mur and some other updates in the nursery. 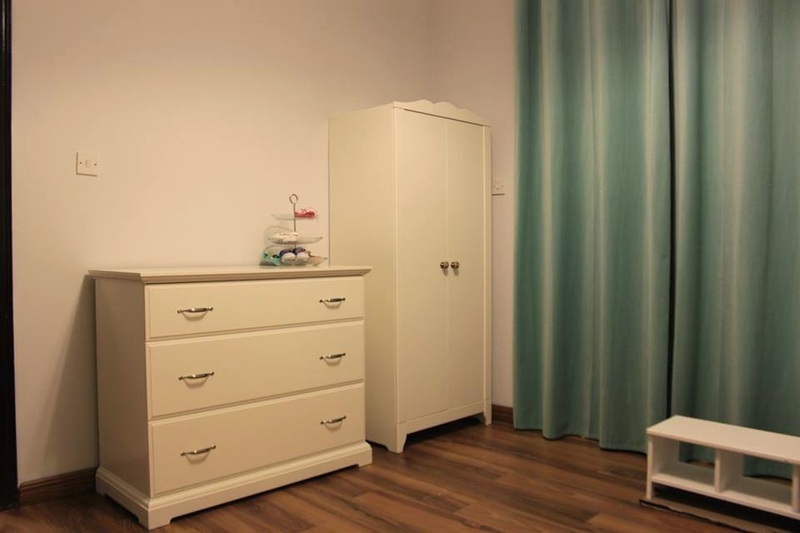 Once the nursery is completed and I have my baby I will be sharing the rest of the apartment's design space by space and how we turned it around from absolute nothing-ness (I love inventing words) to the beautiful 3 bedroom small apartment that we absolutely love.